Whether you need tech support with something related to your PC, your online project or you just want to capture anything on your desktop screen, you need to know how to take a screenshot on PC. 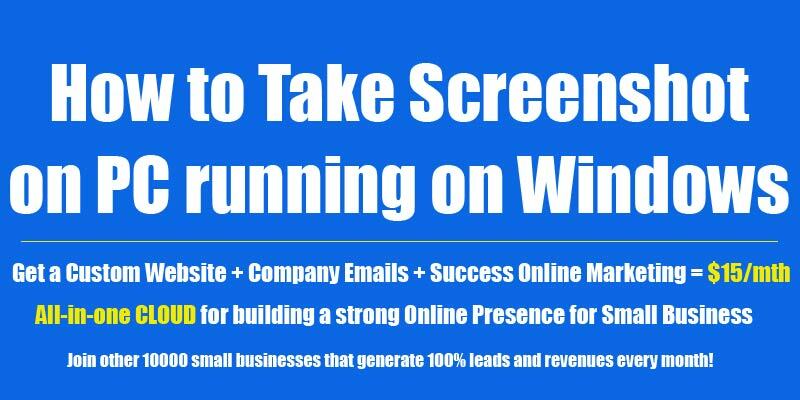 There are screen screen capture tools that are available for taking screenshot on PC that you can download and also several online tools for capturing screenshot on PC. 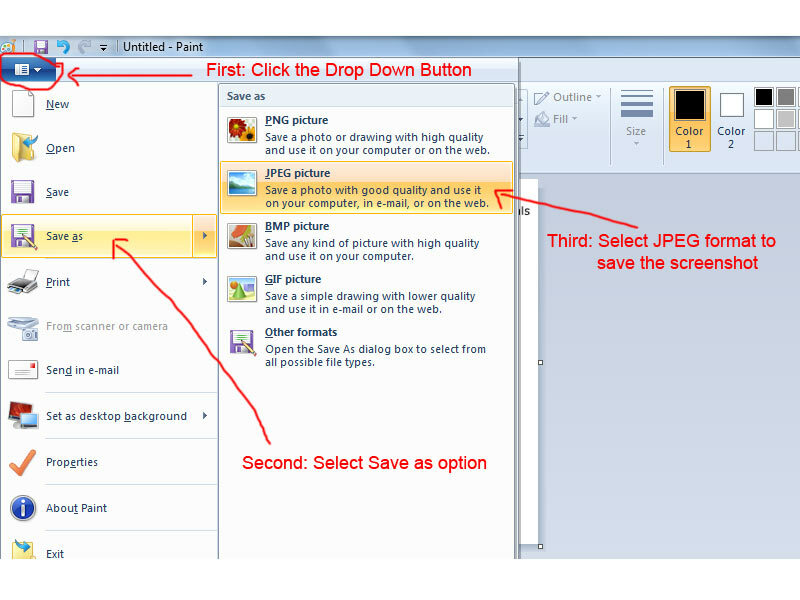 However, we will show you step-by-step how to take a screenshot on PC shortcut way. There are various shortcuts and techniques that you can use to capture screenshot on PC but let us show you the simplest and easiest way to do it. So let’s begin. Open the file, picture, web page, website, image, document, pdf or almost anything on your desktop screen that you want to capture. Then on your keyboard locate the “Print Screen” key, it is typically located in the top-right corner of the keyboard and once you hit that key it will take a screengrab of everything which is open on the desktop screen. Note: If you are using a windows laptop, then you can use the same “Print Screen” key and in some laptops you may need to press “Fn” + “Print Screen” if your laptop has another feature assigned to that particular key. You won’t get any notification nor there will be any indication that your screenshot on PC was taken but a screengrab is actually saved in the background as a PNG file to your clipboard. Open paint by typing paint into the windows search tool and click ‘paint’ to access the software. Note: If you’re running the latest version of Windows 10, type “Paint” into the Windows search bar and click paint to access the software. If you are running Windows 7 or 8, you can find ‘Paint’ in a few different ways, but both support the search tool that you can use to access the paint app. Once, you have the paint app opened on the PC screen, it’s time to paste the screengrab. 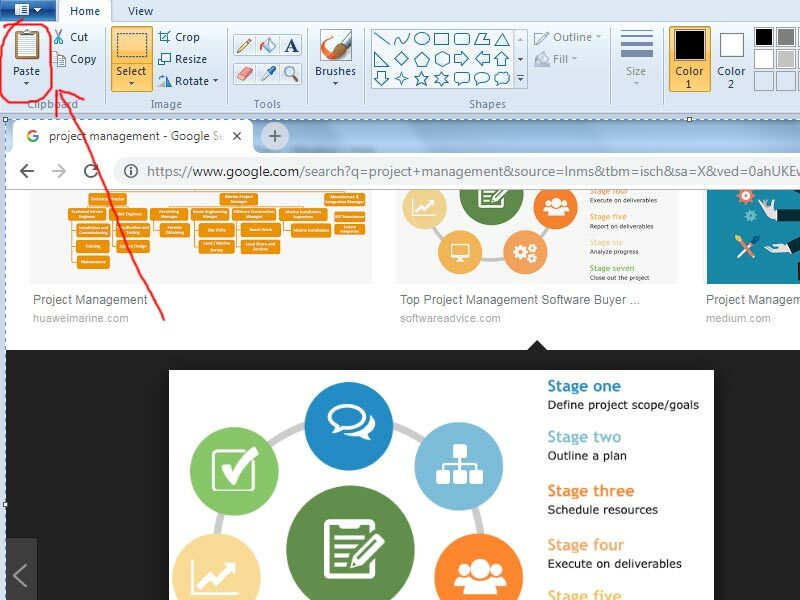 Simply, click the ‘Paste’ icon in the upper-left corner of the paint app screen or use ‘ctrl’ + ‘v’ keys on your keyboard to paste the screengrab. You can do it either way but the end result will be same. 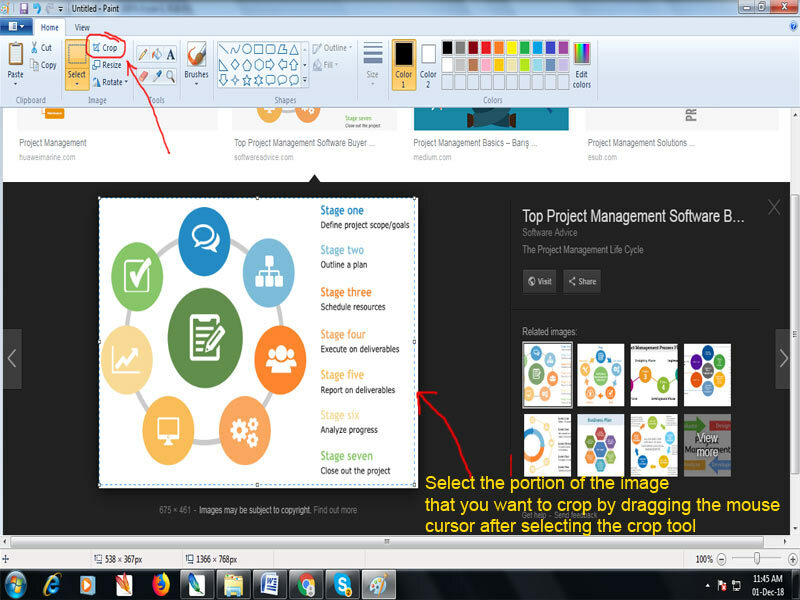 Once, you have pasted the screengrab on the paint app screen, you may want to crop the screenshot as per your need or may want to crop some parts of the screenshot and for that you have to use the ‘crop’ button as shown in the image below. Finally, it’s time to save the screenshot on PC that we have captured, pasted and cropped using the paint app. Once you are satisfied with the final version of your screenshot that you see on the paint app screen, it’s time to save it. You can click the ‘drop down’ button in the upper-left corner of the paint app screen and select the ‘save as’ option or you can also hit the ‘ctrl” + ‘s’ keys on your keyboard to save the screenshot on PC in the desired folder or location on your desktop. Before you save the final version of the screenshot on PC, you can choose the format in which you want to save the image such as .png, .jpg, .tiff, .gif etc. We suggest saving your screenshot file in a .jpg version as it is not heavy in size compared to a .png format. You are finally done with taking a Screenshot on PC or a laptop running windows.